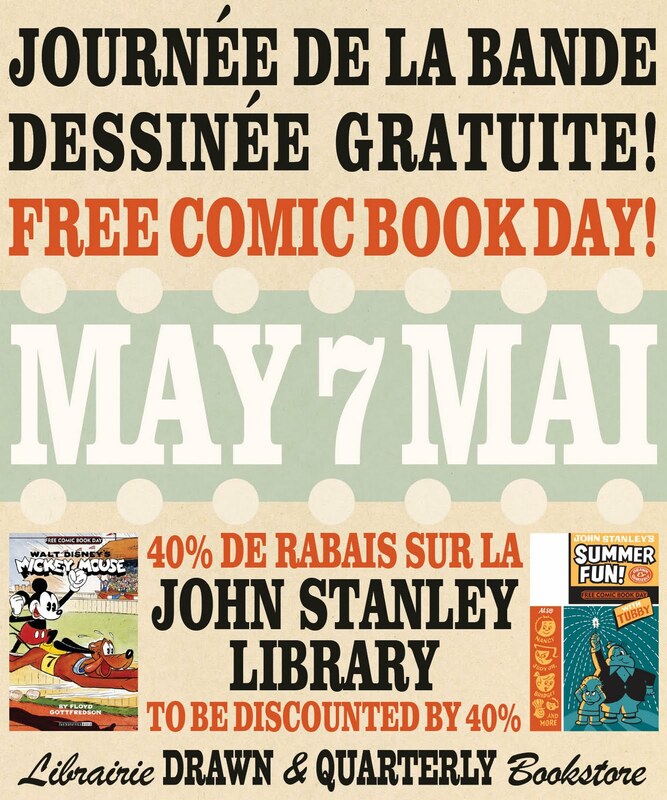 Celebrate Free Comic Book Day this Saturday (May 7) at the Librairie! 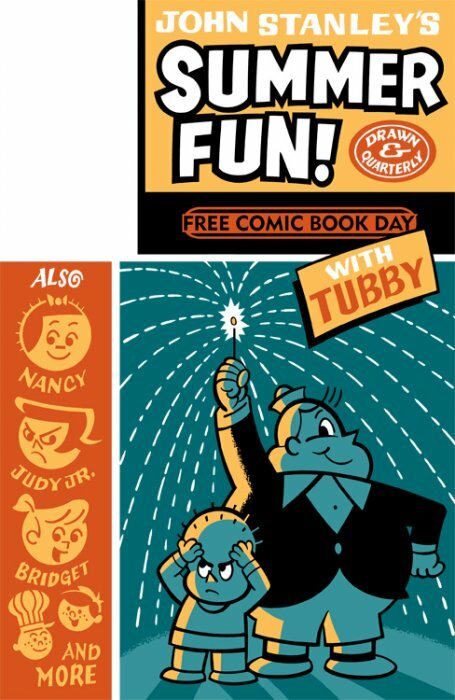 We will be kicking our heels up all day tomorrow with juice, cookies, a colouring session, and, of course, tons of free comics. 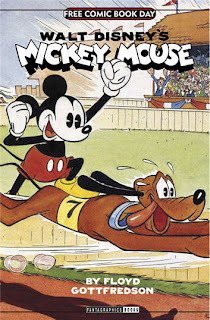 Like every year since we've opened, we're doing this FCBD bigger than the year before - this time with more snacks and even more free comics, such as Fanta's Mickey Mouse, Top Shelf's Kids Club and an excerpt from Pop Sandbox's The Next Day by John Porcellino (which we're launching here at the store on May 10!). 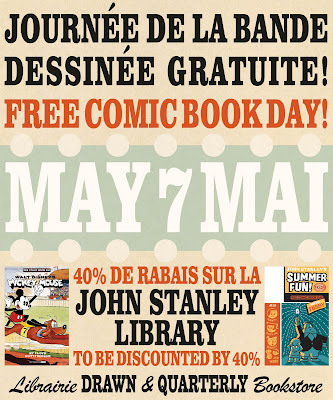 Plus, since D+Q’s 2011 free comic is John Stanley’s Summer Fun, all books in The John Stanley Library will be 40% off. Melvin! 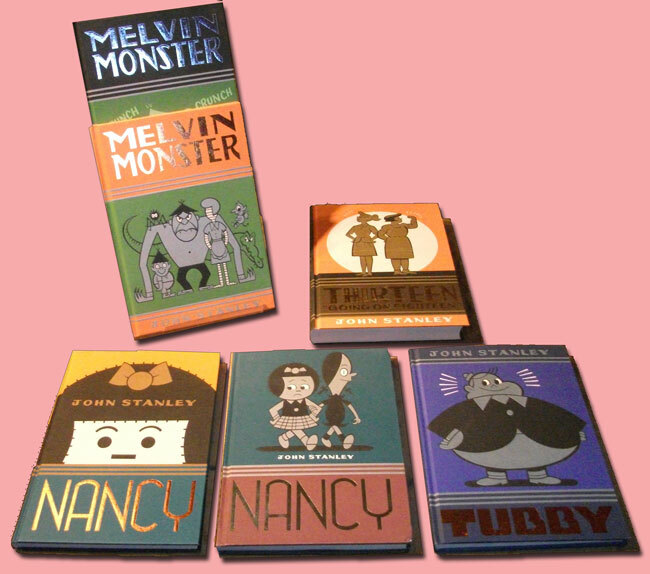 Nancy! 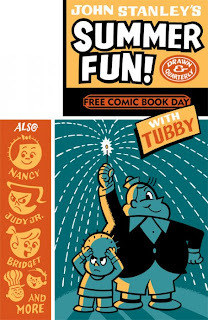 Tubby!